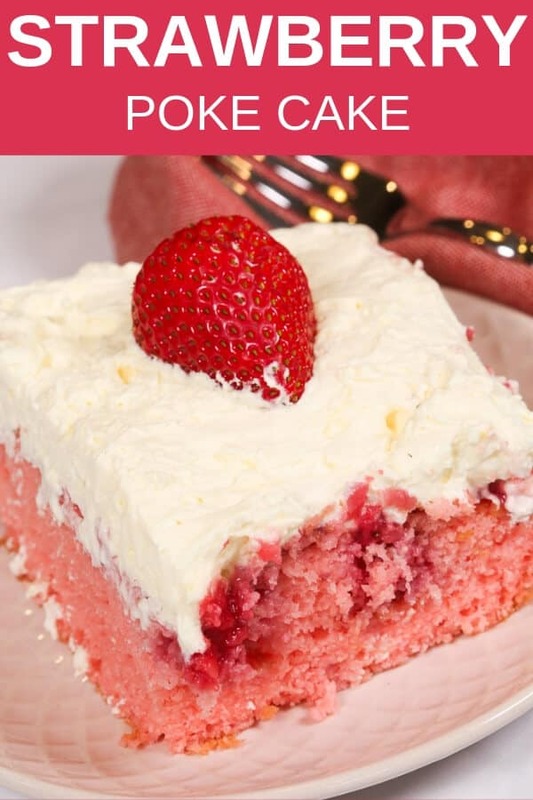 This easy Strawberry Poke Cake makes you dream of warm summer breezes and fun family get togethers. Every spring we head to our local strawberry farm and stock up on all of the fresh strawberries we can carry. I use them to make jam, pies, Strawberry Salsa and this Strawberry Salad with Poppy Seed Dressing. 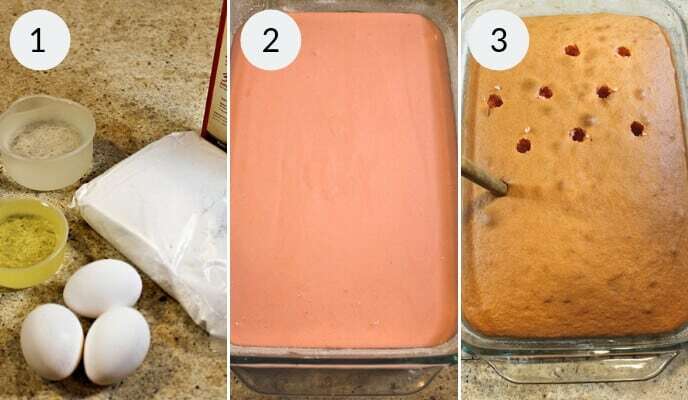 This Strawberry Cake recipe works so well because it is easy. 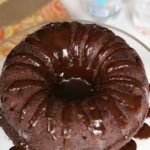 It starts with a box cake mix! 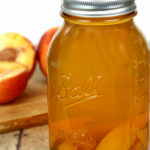 But you would NEVER know it because adding all the fresh ingredients give it that homemade taste that always impresses and it tastes incredible. 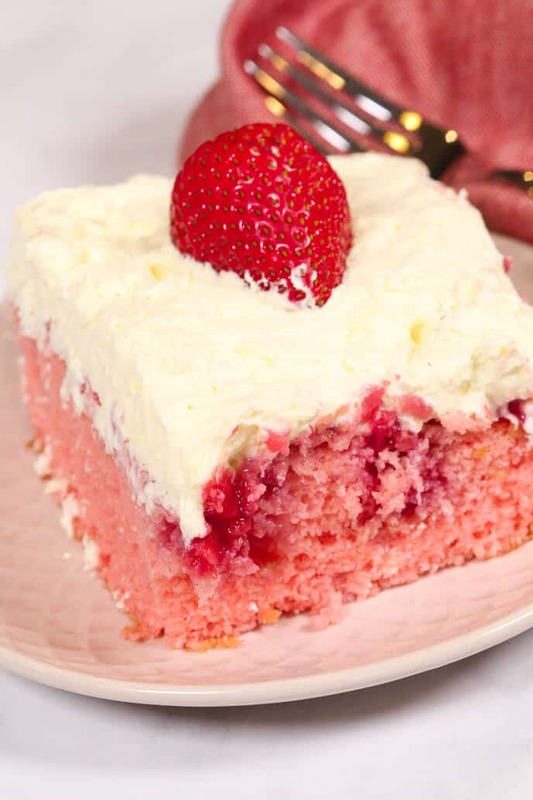 This strawberry cake takes only a few ingredients and comes together really fast so you can make it in a jiffy. Step One: Finally, for topping, prepare pudding mix according to package directions using 1 cup milk. 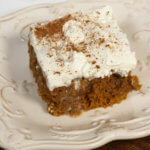 A poke cake is a regular cake that you poke holes into after baking and then pour a liquid onto it and into the holes. 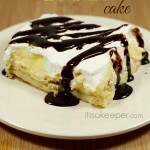 It can be anything from puree, pudding, jello, syrup or even alcohol. Not only does it visually look appealing, but it also infuses extra flavor and moisture into each bite! 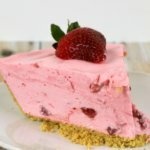 How Can I pick the Best Strawberries for this Fresh Strawberry Cake Recipe? I hate getting strawberries and they are hard, tasteless and not ripe. In other words, not very tempting. But it is easy to find the best fruit if you follow these tips to pick the best berries. Look for the right color. Bright red and plump. Don’t worry about the size. If you see white at the top, it probably was picked before its prime. Buy local. Check your area for farmers markets, fruit stands or even pick our own farms. Use fruit that is in season. It will be fresher and wont be shipped in from far away. This cake is amazing. Nevertheless, there are ways to change it up if you like. 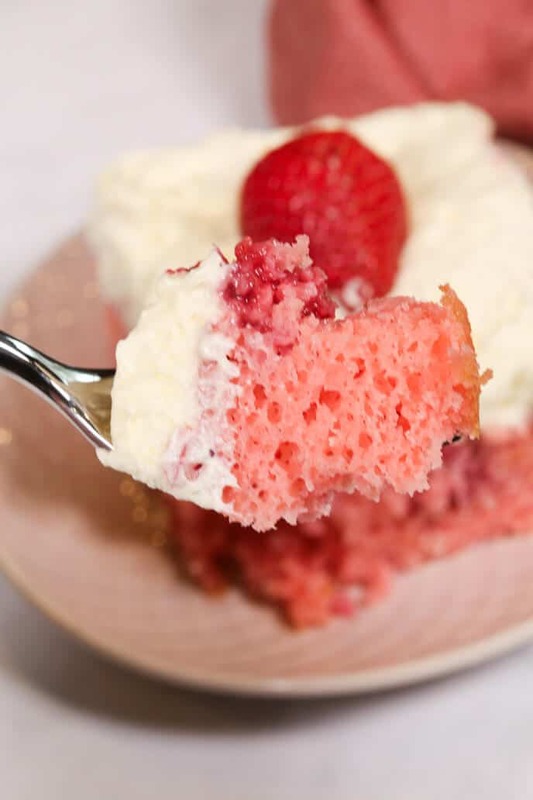 Freeze Dried Fruit: Try chopping up pieces of Freeze Dried Strawberries and add them to the mix before baking, or grind them into a powder and add to the pudding layer to make this cake extra special. Use Different Fruit: This is a great recipe for any fruit cake. Use whatever is in season, Try adding Blueberries for a festive 4th of July cake. Add Chocolate: Dip some of the strawberries in chocolate and drizzle a little melted chocolate on top! Use Fresh: This cake recipe is great because it uses fresh strawberries and frozen strawberries. You can, however, swap out the frozen strawberries for an equal amount of fresh strawberries that have macerated in sugar for a little while. Rubber Spatula <= MY FAVORITE! Looking for more? 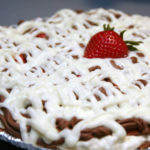 Check out all of the Fresh Strawberry Desserts on It Is a Keeper. This Fresh Strawberry Poke Cake is light, refreshing and bursting with fresh strawberry flavor. It's always a crowd favorite. Preheat oven to 350 ºF. Grease and flour 13x9-inch pan. For cake, prepare, bake and cool according to package directions. Poke holes 1 inch apart in top of cake using handle from wooden spoon (or a drinking straw). 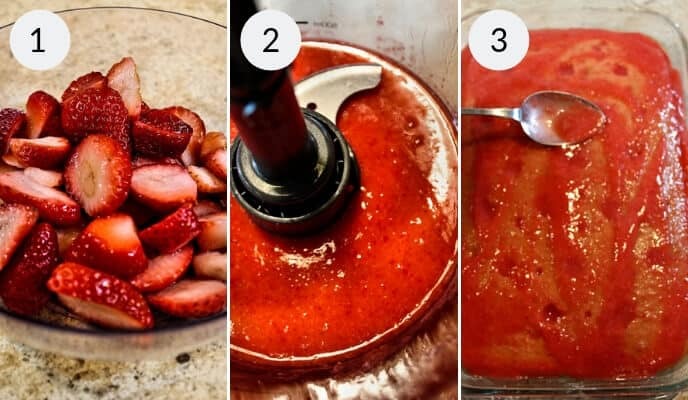 Puree thawed strawberries in blender. Spoon evenly over top of cake allowing mixture to soak into holes. For topping, prepare pudding mix according to package directions using 1 cup milk. 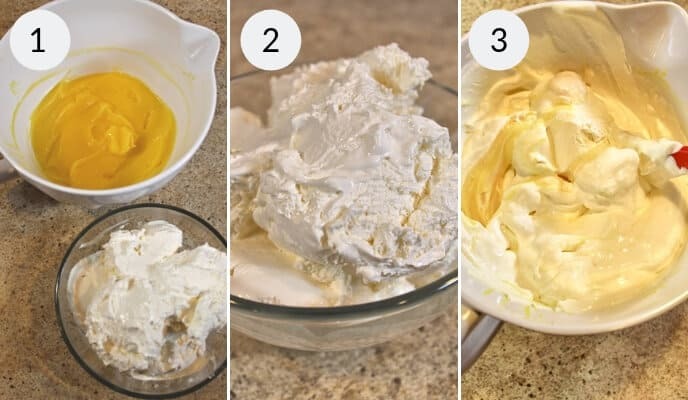 Fold whipped topping into pudding mixture. 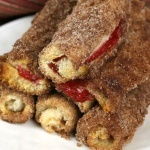 I wish you had a recipe box on your site to save the recipes that We would like to make. 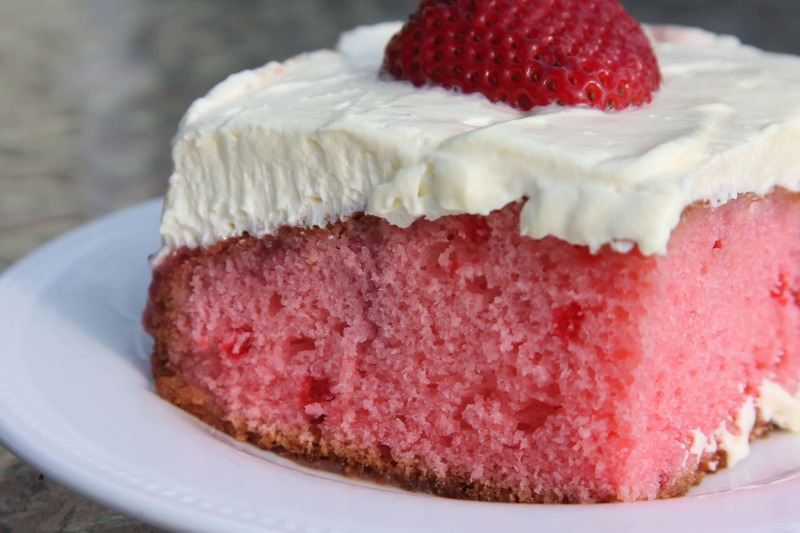 The Strawberry Cake is wonderful. Its the easiest and best recipe that I have. This is not making a dessert, this is combining prefabricated items! Of 6 ingredients, 4 are readymade products. Looked great until I read it’s artifical flavoring and coloring all trough. Looks like a total piece of crap. I would never make anything that involves ‘whipped topping’ or has as its base two pre-packaged mixes. It DOES look prett! Delicious, too! Can’t believe it’s back to school time already! Enjoy!